Khulna Medical College information is showing us that KMC is established in 1992 in Khulna Bangladesh. It is a teaching facility within the Khulna medical college and Hospital. It’s located in near of the inter-district Bust Stand at the entrance to the Khulna city. The admission process of KMC is starting with submits an admission form and participate a written and viva exam. I am giving a concept about Khulna Medical College information with Khulna Medical College admission process. In addition to Khulna Medical College information, KMC was started with few students and little infrastructure initially. But now it is one of the top 10 medical colleges of Bangladesh and former students of KMC are showing outstanding performance on many medical sections. There are 500 students at 5th batch studying in this medical college and the Hospital grows to 250 beds initially. KMC is affiliated with the Bangladesh College of physicians and surgeons and the University of Rajshahi. This college offers the best facilities for academic, research and residency sectors. In here, we have gathered all the Khulna Medical Collage information and Khulna Medical College admission process. Let’s know further more about it. 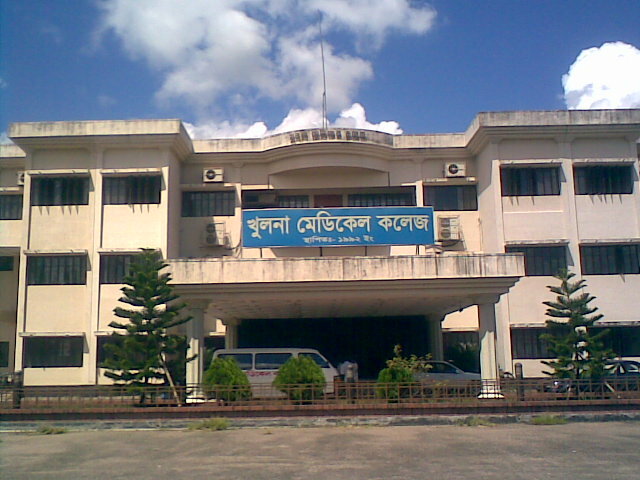 In Khulna Medical Collage information, the adjacent to the hospital and the academic building is a four-story building which houses both administrative and academic sections. The administration, student’s areas and the office of principal are situated in these sections. In student’s area, there are classrooms, 4 large galleries for combined classes, a library, and an audio-visual unit is containing for educational purpose. Also, there are 6 students’ residences along with quarters for staff and officers of the exact institution. All the departments list of Khulna Medical College is given below. Ministry of health will place all the admission examination in all the government collage of Khulna and students will select on their merit of the exam. Khulna Medical Collage is related to Rajshahi University coupled with 9 alternative government and private colleges. But before that, there are some basic conditions is applied for every interested student such as the certificate of SSC and HSC examination. Also, they should have chemistry, physics and biology amongst the subjects considering in both SSC and HSC examination. For getting further information about Khulna Medical College admission, Khulna or any kind of query, please contact here. KMC is specially controlled by Bangladesh Medical and Dental Council. All the students of KMC will get MBBS degree from Rajshahi University after of last professional MBBS exam in the 5th year. Moreover, the central and special exams are placed and results are offered under the university. The central exams are considered at regular period namely Card completions, term and frequent exams; also the internship in the hospital is obligatory. That is all about Khulna Medical College information and Khulna Medical College admission process, hope all this information will provide what want to know. Thanks for visiting www.bdeducationinfo.com. This entry was posted in Medical College, Public Medical College and tagged Khulna medical admission by admin. Bookmark the permalink.